I added a new Winter Routes page. This is a work in progress but it’ll eventually list lots of the better winter lines in the Cascades. If you think I’ve missed something then add a comment to the page or chime in on the CC.com thread about the list. John wrote up his account of our climb on Wenatchee Outdoors along with some more of his pictures. Check it out! The Susan and I made another trip to Exit 38 yesterday and climbed Here Today Gone Tomorrow. 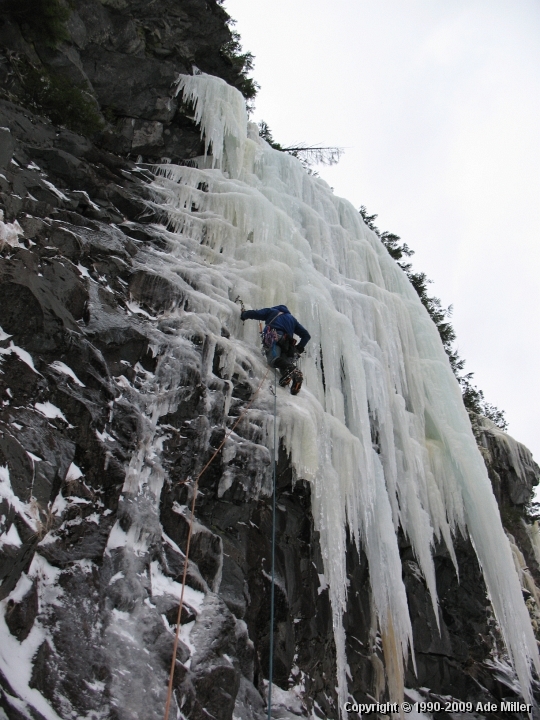 This route isn’t in the Washington State Ice Guide but it’s fairly easy to find if you know where you’re going. Things are starting to get soggier and the new snow has made slogging to the base of the climbs a bit more of a workout. We were going to check out the ice at Amazonia too but ran out of daylight. I found a few spare minutes at the end of a busy weekend to get some pictures of the Cosley-Houston route on Colfax Peak on to the Web. 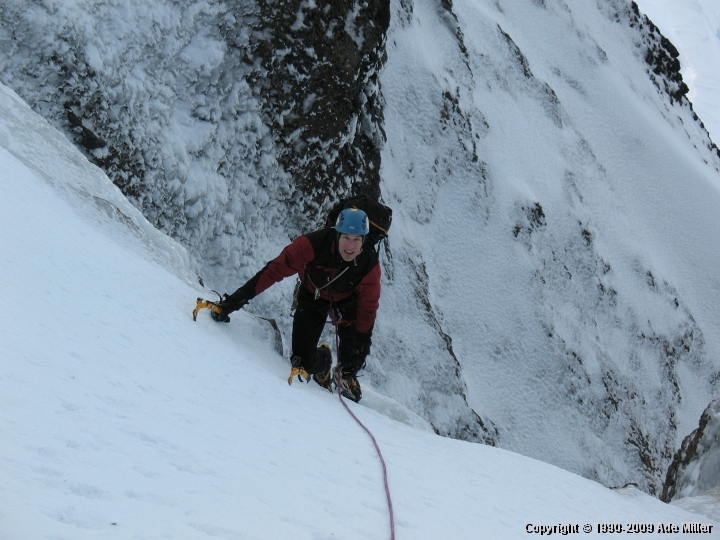 On the right you can see my partner for the trip, Bill, on one of the upper pitches. I also put up some photos of an (almost) one day ascent of the Torment-Forbidden traverse with Jason earlier in the summer. Why "almost" well while we did get off the route we didn’t quite make it down to the car. Be especially suspicious of partners with large packs, within my lurk bivvi gear and along with it a strange enthusiasm to spend the night out. 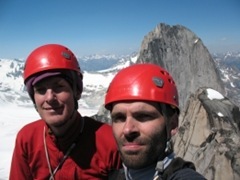 My pictures from the Bugaboos are now online in the picture gallery. Simeon and I drove to Roger’s pass and had bad weather for an attempt on Mount Sir Donald. Went and had a look at getting into the north end of the Selkirks but were defeated by a very closed logging road. Carried on driving, driving, driving to Golden for lunch and then into the Bugaboos where we climbed; the Kain route on Bugaboo Spire and the West ridge of Pigeon Spire to warm up. Then after a weather enforced rest day, during which we hiked out to the car for beer, we managed the NE Buttress on Bugaboo and the Kraus-McCarthy route on Snowpatch. We also climbed a route on the Crescent Towers on our rest day. The weather looked like it was going to break so we spent the last couple of days in Penticton doing a little bit of cragging on the Skaha Bluffs. 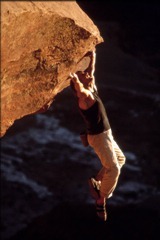 It was very hot but we managed to stick to the shade and get a few nice routes done before heading back home.